Our home water is the Conwy estuary and Conwy harbour in North Wales. We live in an area of renowned scenic beauty, a long and changing river leads into a sheltered estuary, and the sea beyond to the Great Orme and further on, tiny Puffin Island, with Anglesey Island in the distance. 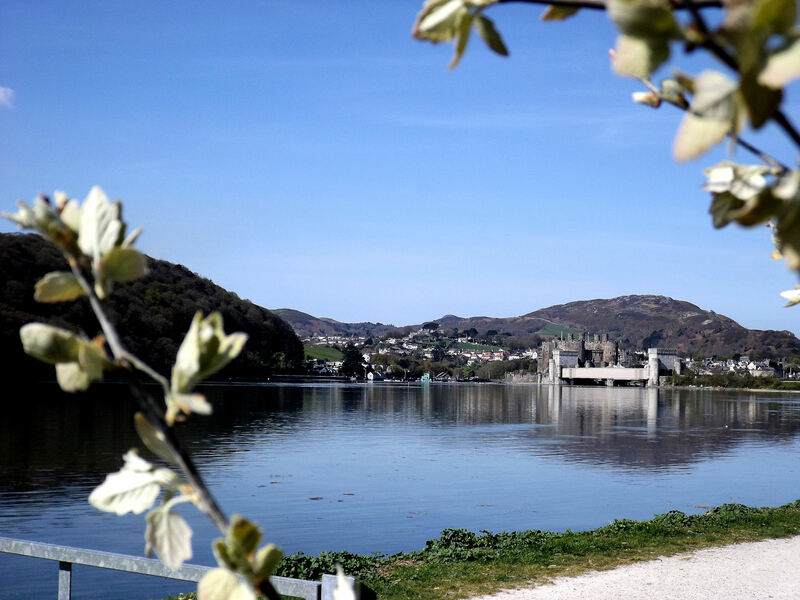 Conwy has a well-known Mediaeval Castle close to the shores of the estuary; its walls surround the picturesque small Welsh town. We launch on weekday evenings in sight of the castle. A bird reserve occupies part of the East side of the Estuary, with a visitor centre and picnic areas. In short, we have an idyllic area in which to paddle canoes and kayaks of all sorts! 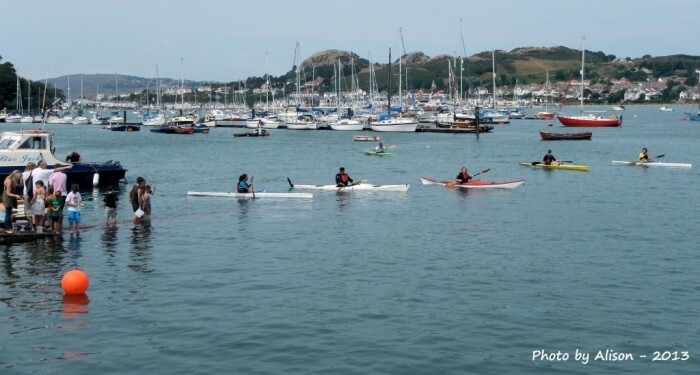 Dyffryn Conwy Paddlers was founded in October 1991 to encourage the development of flat water paddling, both touring and racing, in the Conwy area. Members also enjoy other types of canoeing including sea and wild water paddling. The club normally uses open cockpit kayaks. We don't promote kayak rolling unless members want to pursue such disciplines. We do have a few members who can 'eskimo-roll' a kayak and if this is what you really would like to learn, you might want to ask Kev Owen via our contact page about learning the technique and other rescue skill. Practise sessions could be arranged in the indoor pool at Plas Y Brenin Outdoor Centre at reasonable cost. The kayaking activities we promote are suitable for adults from absolute beginners to paddlers who are experienced in Marathon racing or touring. We are not able to supervise unaccompanied children, but experienced family members are able to take full responsibility for their own children on outings. We are interested in supporting members who like to race and we have suitable Marathon boats available for that purpose.